A futures chain is an informational table which quotes all futures on the same underline asset with different delivery dates. It contains all the information needed in order for someone to open a position i.e. symbol, delivery date, last price, bid-ask, volume and open interest. More or less all trading platforms include almost the same information. 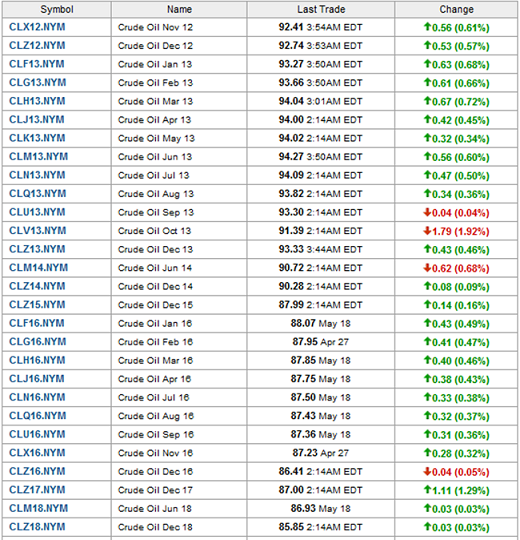 Below is a simple futures chain from Yahoo.Finance for the WTI crude oil.